Home » Bike/Pedestrian Forum • Related News » ELECTRIC BIKES ARE HAVING A MOMENT. HERE’S WHY. ELECTRIC BIKES ARE HAVING A MOMENT. HERE’S WHY. There’s nothing quite like the feeling of pedaling fast on a bicycle—legs burning, sweat dripping, wind nipping against your skin—when suddenly, a voice shouts from behind: “On your left!” And a fellow cyclist cruises past with hardly any visible effort, leaving you in the dust, perplexed, until you realize the “ah-ha” detail—they were riding an ebike. Not so long ago, sharing the bike path with an ebike was a novelty. Now, it’s the norm to see an ebike with the telltale wide lower chainstay or downtube in the frame that houses an electric motor. No matter what your opinion of or experiences with ebikes are, research and trends suggest they will only become more popular. Ebikes are the fastest growing segment in the cycling market, according to the NPD Group. Ebike sales have grown more than eightfold since 2014, and in 2017, they totaled $77.1 million—up 91 percent over the previous year. When Morgan Lommele started working for People for Bikes four years ago, ebike sales were growing. 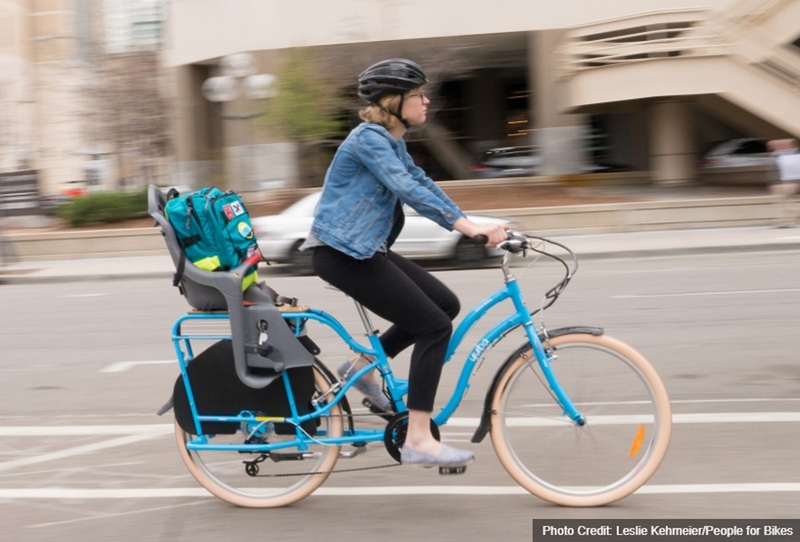 “Now, I would consider them to be booming,” says Lommele, who is the director of state and local policy for the People for Bikes Coalition, and lobbies for ebike legislation on behalf of the bicycle industry. Thanks to new research from Portland State University, we now know a lot more about who is riding ebikes and why, said Taldi Harrison, the government and community affairs manager for REI. In a study published last year by the National Institute for Transportation and Communities, researchers at Portland State University interviewed almost 1,800 people in the United States and Canada who ride ebikes. Their findings, while not statistically significant, represent a snapshot of the demographic. The survey respondents were young and old, female and male, though predominantly white, older than 45, and highly educated (possessing a bachelor’s degree or higher). They represented a spectrum of ability. More than 80 percent bought their ebike in the past three years. Their motivations varied. Younger respondents were more likely to say they rode an ebike to avoid driving a car and for utilitarian purposes. Meanwhile, older respondents and those with physical limitations tended to cite health reasons for wanting a bicycle that was easier to ride for exercise and recreation. (Many studies also highlight the fact that ebike riders still get a cardiovascular workout.). Regardless of the motivation, ebikes are broadening the population of cyclists in the U.S. in Canada. “Ebikes are making it possible for more people to ride a bicycle,” the study said. According to Lommele, about half of all ebikes sold are bought by people who never considered themselves to be a cyclist, or who haven’t ridden a bike since they got their driver’s license. They are people who, for health reasons or perhaps because they live in a hilly neighborhood, need a bicycle that is easier to ride, she said. They are people who want to skip the car and take a bike to work, but do not want to break a sweat. As ebikes become more popular in an urban setting, legislation regulating where people can ride them—on roads and bike paths—has followed. Lommele has been working, state by state, on individual campaigns to update state vehicle codes so that ebike laws reflect the current equipment and are the same across state boundary lines. In 2015, California was the first state to pass model legislation for ebikes that was drafted by the People for Bikes Coalition. This legislation outlines three different classes of ebikes, depending on the power of the motor and the bicycle’s top speed. (According to People for Bikes, “Class 1 is a pedal assist ebike with a top motor assist of 20 mph; Class 2 is a throttle-actuated ebike with a top motor assist of 20 mph; Class 3 is a pedal assist ebike with a top motor assist of 28 mph.”) Since then, 10 more states have passed the same legislation, which Lommele says is a “common sense” update to traffic laws. This year, People for Bikes is aiming for a ‘19 in 2019’ campaign, which would introduce 19 bills for model ebike legislation in 19 states. (Some states have ebikes written in to traffic codes, but many are outdated and lack a specific classification for ebikes.) So far this year, bills have already been filed in New Hampshire and Wyoming, and Lommele expects more to be filed across the country as state legislatures ramp back up. On a federal level, selling an ebike is legal in all 50 states. However, the Consumer Product Safety Commision does not recognize the three classes of ebikes, as outlined in the model state legislation drafted by People for Bikes. Another challenge is that some states have ebike legislation, but it’s not streamlined or updated with the model bills that have most recently passed. Lommele would like to see those outdated laws replaced with progressive, up-to-date legislation. The NITC study revealed that many respondents actually felt safer on their ebike than on a standard bicycle. Respondents reported that the boost they receive from their ebike allows them to take longer routes and avoid dangerous streets. They said they could accelerate quickly through intersections and keep up with the pace of traffic. One of the best ways to get people to see the benefits of an ebike is to let them ride one, said Lommele. She rides a Class 1, longtail cargo ebike that she loads up with her kids, her work bag, her kids’ school bags, groceries and more. The pedal-assist motor shuts off at 20 mph. She rides it every day, often dropping her kids off at school two miles from home before riding another two miles to work. She sees her ebike more as a replacement for a car.